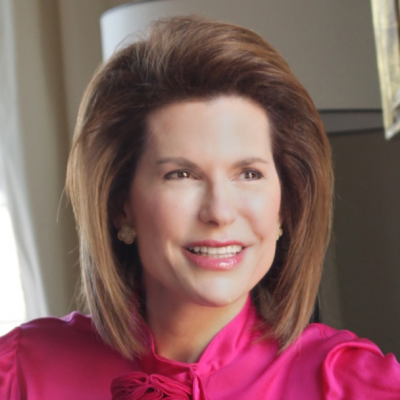 Nancy G. Brinker is regarded as the leader of the global breast cancer movement. Her journey began with a promise to her dying sister, Susan G. Komen, that she would do everything possible to end the shame, pain, fear and hopelessness caused by this disease. In one generation, the organization that bears Susan's name has changed the world.In 1982, shortly after Susan's death from breast cancer at the age of 36, Brinker founded Susan G. Komen® in Susan's name. Brinker faced an immediate uphill battle: newspapers balked at printing the words “breast cancer”, no one talked openly about the disease, there were no 800-numbers, no internet and few, if any, support groups. Few treatment options existed for breast cancer patients and limited resources were committed to the disease. In a matter of years, Brinker broke the silence around breast cancer, and Susan G. Komen is now the world's largest grassroots network of breast cancer survivors and activists fighting to save lives, empower people, ensure quality care for all and energize science to find the cures. Today, the organization has invested nearly $2.9 billion in breast cancer research, education, screening and treatment.Her creativity in raising awareness led to programs that at the time were revolutionary: In 1983, she founded the Susan G. Komen Race for the Cure® series, which is now the world's largest and most successful education and fundraising event for breast cancer. She also pioneered cause-related marketing, allowing millions to participate in the fight against breast cancer through businesses that share Komen's commitment to end the disease forever. Komen's unwavering advocacy for breast cancer survivors led to new legislation and greater government research funding. Major advances in breast cancer research have been touched by hundreds of millions of dollars in Komen funding.Brinker's determination to create a world without breast cancer is matched by her passion for enlisting every segment of society- from leaders to citizens- to participate in the battle. In 2009, President Barack Obama honored Nancy with the Presidential Medal of Freedom, the nation's highest civilian honor, for this work. The same year, she was named Goodwill Ambassador for Cancer Control for the United Nations' World Health Organization, where she continues her mission to put cancer control at the top of the world health agenda.In 2010, Brinker released her New York Times best-selling memoir Promise Me, an inspirational story of her transformation from bereaved sister to the undisputed leader of the ongoing international movement to end breast cancer. She was named one of TIME magazine's “100 Most Influential People” in 2008. From 2001-2003, she served as U.S. Ambassador to the Republic of Hungary and served as U.S. Chief of Protocol from 2007-2009 where she was responsible for overseeing all protocol matters for visiting heads of state and presidential travel abroad. In 2008, President George W. Bush appointed her to The Kennedy Center Board of Trustees. Brinker currently serves on numerous corporate and non-profit boards and is an Executive in Residence at the Johns Hopkins Carey Business School.Brinker is a lifetime member of the Council on Foreign Relations and has received numerous accolades for her global work, including the prestigious Mary Woodard Lasker Award for Public Service, the Champions of Excellence Award presented by the Centers for Disease Control, the Porter Prize presented by the University of Pittsburgh Graduate School of Public Health, the Forbes Trailblazer Award, Ladies Home Journal's “100 Most Important Women of the 20th Century”, and the Anti-Defamation League Americanism Award. She was named one of the 100 Most Trusted People in America by Reader's Digest in 2013. In 2015 she was inducted to the National Women's Hall of Fame, and in 2016 she received the Order of Lincoln Award, - Illinois' highest honor for professional achievement and public service. Her work also includes advocating for equality in the LGBT community, and she is honored to be a member of the Harvey Milk Foundation's leadership and advisory board. Brinker currently serves as Global Advisor to HOLOGIC Inc. and is a contributor for Fox News and Newsmax. In 2018, Brinker spearheaded creation of The Promise Fund, a revolutionary fundraising initiative aimed at connecting cancer care providers with vulnerable populations in South Florida - people in financial need and those who have moved to Florida from Puerto Rico and other areas following devastating hurricanes. Brinker spoke about The Promise Fund to an international audience at Ideas Weekend in Abu Dhabi and chaired Concordia's 2018 Health Summit of the Americas in Bogota, Colombia in July. We were proud to launch our CCWomen initiative, a community by women for women in customer contact, in fall 2018. This community took off in such a way that we wanted to elevate some CCWomen content beyond its track to our main stage. In her inspirational address, "The Art of Seeing the Invisible", Nancy will deliver some of her keys to setting bold goals and achieving them with tips applicable to both business and life.